Unleash the glamazon in you and flaunt the Nykaa All Thing Glam Makeup Bag. 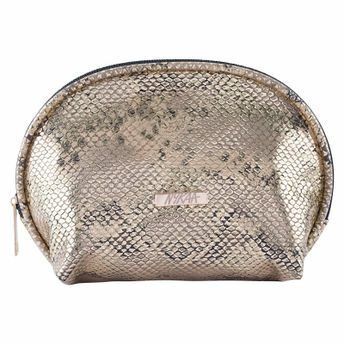 This makeup bag is roomy enough to store all your makeup and fabulous enough to make your travel bag stylish! The beautiful snake-skin pattern adds a touch of mystery to the design. Explore the entire range of Makeup Pouches available on Nykaa. Shop more Nykaa Cosmetics products here.You can browse through the complete world of Nykaa Cosmetics Makeup Pouches .Alternatively, you can also find many more products from the Nykaa All Thing Glam Makeup Bag range.